The body of a single Sparta lioness was found a few days ago. It can now be confirmed that she is indeed the mother of the two 7-8 month old cubs. This was tragic news for the much loved pride. The question on everyone’s minds was, or rather still is, what will happen to the two cubs that she left behind? The day after we discovered her body, the two cubs were found alive and well. They met up with the remaining four Sparta females later on that morning. When I heard the news called in on the radio I breathed a sigh of relief! At least they would now have a chance at survival… or would they? Half an hour later and the radio crackled to life. The update was confusing and heartbreaking: “the 2 cubs are now moving away from the lionesses”…and so they kept going, walking slowly away! It was as if they had smelt that their mother was not there and were now heading off to find her. They were followed at a distance by a ranger in a vehicle. 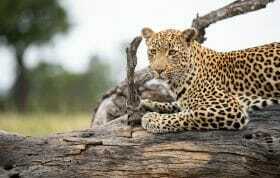 They crossed further east off of Londolozi. That was nearly a week ago. They have not been seen since. Nearly every day since this event we have managed to find the four Sparta females, often in the company of the new three cubs, but not a single track to suggest the other two ‘older’ cubs are alive. Now, those of you who are passionate followers of the blog, the Londolozi wildlife and in particular the lion dynamics, will remember the incredible story of the 5 month old lion cub that survived 5 weeks alone! 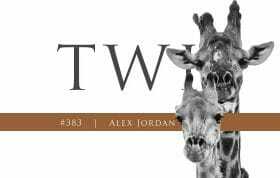 It is this incident which still provides me with some hope that these two little females may still be alive. Time will tell whether this is the case, I fear though that with marauding hyenas and leopards around, these two are negotiating through troubled waters. The one positive is that they are in the heart of Majingilane territory so should not encounter another male lion. The question which itches away at my mind is why on earth, when they were with the remainder of the pride, did they make the decision to go off on their own? In turning their backs on their aunts and grandmother were they deciding to give up on life? One must remember that the previous day the lionesses had all sniffed at the carcaass of the dead lioness. Is it not logical to think that these lionesses would have ‘told’ the surviving daughters the fate of their mother. Or is this logic that I speak of confined to humans? Am I reading too much into this? My take on this issue is that the lionesses all have their own personal agendas to take care of, either in the form of cubs or expectant cubs. They possibly could not afford to spend the time, effort and resources to support youngsters that are not their own. But surely then this argument would have resulted in the adults moving away from the cubs and not visa versa, as was the case? Surely they would have looked at these two 7-8 month olds as useful additions to the pride structure and future hunting team-mates? Maybe, they were just too young! Maybe the chances of survival, at this time, were too slim. These are questions we do not know the answers to. We don’t even know for sure what the outcome for this chapter will be. Perhaps they will throw yet another curve ball and show up unscathed from their ordeal. At least this time their are two of them! I do, however, find it fascinating to watch yet another wondrous example of the lives of lions. I would love to hear your thoughts and opinions as to why these two cubs walked away from the pride on that day. Add to the comments and lets get some educated discussion going on the possible dynamic that is unfolding out here. could they defent themself agains hyenas and leopards? they are two but how big are they in size? Thanks for the update. I agree with you that these lions for sure have a way to communicate and give the message to the cubs. However, their walking away just leaves me speechless and sad. Another set-back for the Sparta-pride. Just imagine what could be without this event and without the floods in January. No idea Adam, lions are always doing things which make no sense to us, but must make perfect sense to them. I don’t understand why the older lionesses didn’t fetch them back either. Hi Adam, Sad to hear the news, as I believe this was the Sparta lioness and cubs you took us to watch at the giraffe carcass only a few short weeks ago. (looked at my pics just now and the scar on her nose same in your photo as in my photos) We are lucky enough to have some wonderful photographs of them and some video footage too. Reading the blogs regularly to keep up with the news. Wish I understood enough to be able to help with the reasons why? I guess we may never know why. This is just so sad. 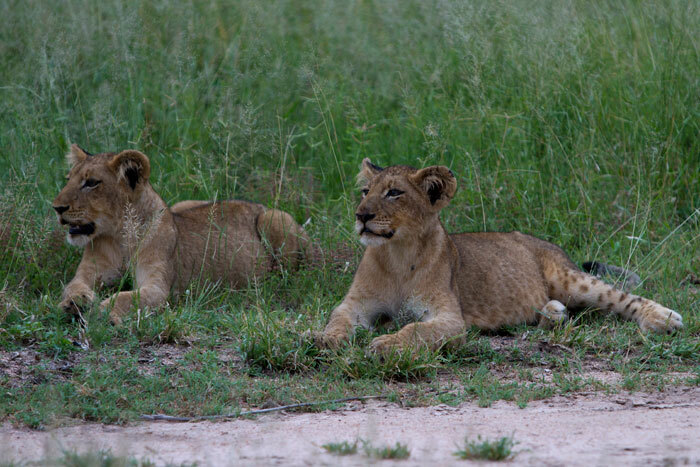 Two female cubs would be very valuable for the future of the Sabi Sands lions. 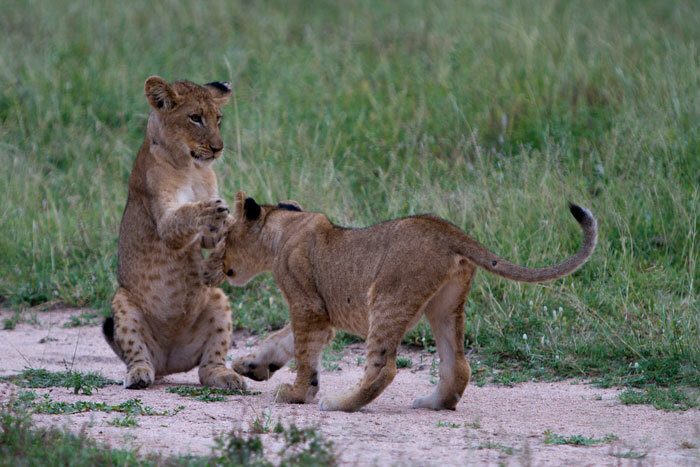 If the other females did not act aggressively towards these two youngsters when approaching them, probably only via body language, then the only reason these cubs have moved away is to find their mother. In the case of the Ximungwe Pride, the orphaned cubs never bonded with the rest of the pride, because their mother stayed separated for quite some time. It was her way of keeping the cubs save from the marauding Mr.T, who has killed many cubs of this pride before. 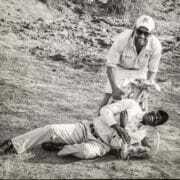 Ironically it was then Mr.T trying to protect the remaining youngster from the hostile females of the Ximungwe Pride. It is another case of bonding level. If the Sparta lioness has spent reasonable time with the other females along with her cubs, then the other females will accept them as pride members. Esp. as long as 3 of the other females do not have cubs of their own, there is no obvious reason to chase off the 2 youngsters. So if bonding level is high and the 2 cubs only went off to find their mother, then there is a chance they give up on that mission and will return to the safety & food source of the pride. I truely hope this is going to happen. 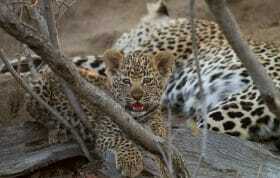 And it is indeed remarkable how many cubs of the Majingilane Males have fallen victim to basically “bad luck”. At least 3 of the Tsalala cubs got lost that way (buffalo and flooding) if I recall correctly, a litter of 2-3 of the Sparta Pride, and now 2 more are at risk. Interesting that they walked away from the security of the pride. I wonder what killed the mother? It appears that she died of internal injuries from something. The three young adults seemed to be separate from the older females, but at least they should be close to the remaining older female. Interesting. Animals “know” things way more than we humans give them credit for. I travel a bit and find eastern societies tend to accept this reality-not in a Disney sort of way-but in a matter of fact way. Kind of like the Native Americans giving thanks to the animal that they have killed. Hope we have some good news-but the pride still is 4 strong and one has had cubs, maybe the others will pop a few more cubs and the rhythm of life will go on. Adam, you forgot to mention that even though Shayne survived 5 weeks on his own, his uncle killed him shortly after he returned. Because he still too weak to survive…too needy? Or after being gone, he simply was not accepted back into the pride? Sadly, I know too many human families that often react the same way. I can only hope there is a happier ending for these two. 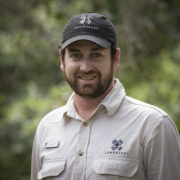 …Adam didn’t we see at the giraffe kill, one pregnant lioness who was supporting the cubs mother. (The lioness who walked straight back to Mali Mali – bad, bad!!) Could it be that they wont accept the orphaned cubs as there is an expectant mum? Thank goodness the cubs have been located back with their pride since this blog entry! Fantastic news. But to answer the question of why the cubs would walk in the opposite direction, I didn’t see anyone float the idea of shock/fear/grief being the reason. Who’s to say that the overwhelming emotions surrounding the loss of their mother – 24/7 source of food, discipline, protection, stability and education wasn’t the cause of their seemingly irrational behavior? Her death was fairly fresh when they separated, no? Elephants display obvious grief at a loss, the younger ones especially. And sometimes that grief gets them left behind from the herd, clearly working against the best interest of their survival, right? Why shouldn’t lions have similar emotional capacity? These are intellegent creatures we’re talking about. The girls’ return to the pride after some loss of condition could signal that given a few days to process the emotional situation, the more ‘rational’ survival instinct was able to take over once again. Anyway, just a thought…. I don’t think there is a way to have a definite answer to explain their behavior. All I meant was to introduce the possiblity. Clearly animals can’t and shouldn’t be compared to humans – especially with regard to moral conscience. In my opinion, just because animals may not experience emotions exactly like humans, doesn’t mean they don’t have or can’t be motivated by them. Agreed, balanced and open minded approach is best. Appreciate the response!